outUsing this tool, more than half a million people have discovered their spiritual gifts. 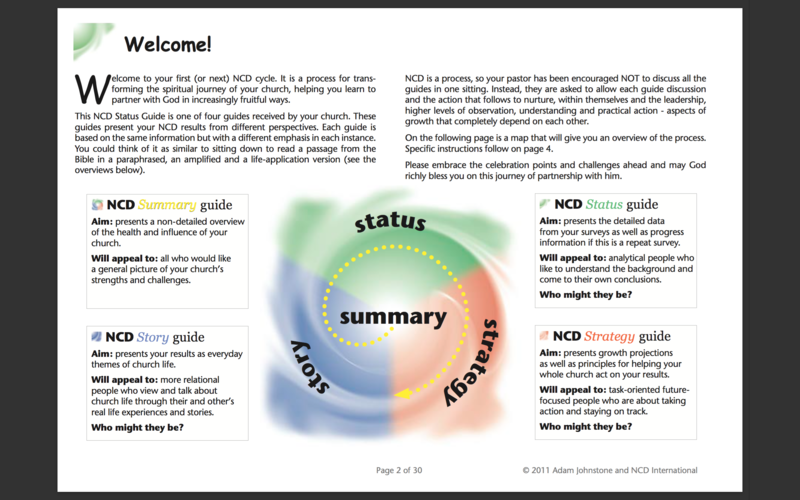 Apart from the Three-Color Gift Test, which has become standard for gift discovery worldwide, the book includes a second popular assessment tool: The “Change Compass” shows every believer which of 6 biblical figures comes closest to their own spiritual starting point: Thomas, Martha, Mary, Moses, Peter, or Jonah. Integrating the process of gift discovery into the ?three-color paradigm? of NCD, it is guaranteed that the use of spiritual gifts will result in personal growth of the members and an increase in the spiritual balance of the church.